Juneteenth serves as a symbolic day of freedom for African Americans in the United States. It wasn’t until June 19, 1865, Union soldiers arrived in Galveston, Texas with news that the war had ended and that the enslaved were now free. This news came two and a half years after President Lincoln’s Emancipation Proclamation was issued. On June 21th, 2018, the Program in African American History (PAAH) hosted its annual Juneteenth Freedom Seminar. This year, Juneteenth was sponsored by Bryant Greene from Always Best Care and featured a presentation by Dr. Deirdre Cooper-Owens, Associate Professor of History at Queens College, CUNY, and performances by singer and songwriter, Keisha Hutchins, and 2017-2018 Philadelphia’s Youth Poet Laureate, Husnaa Hashim. Dr. Deirdre Cooper-Owens is the new Director for the Program in African American History at the Library Company as well as an Organization of American Historians’ (OAH) Distinguished Lecturer. Keisha Hutchins is a music educator, serving as the Lower School Music Teacher at Abington Friends School and has received the Leeway Foundation’s Art and Change grant for women who use their art to create social change. 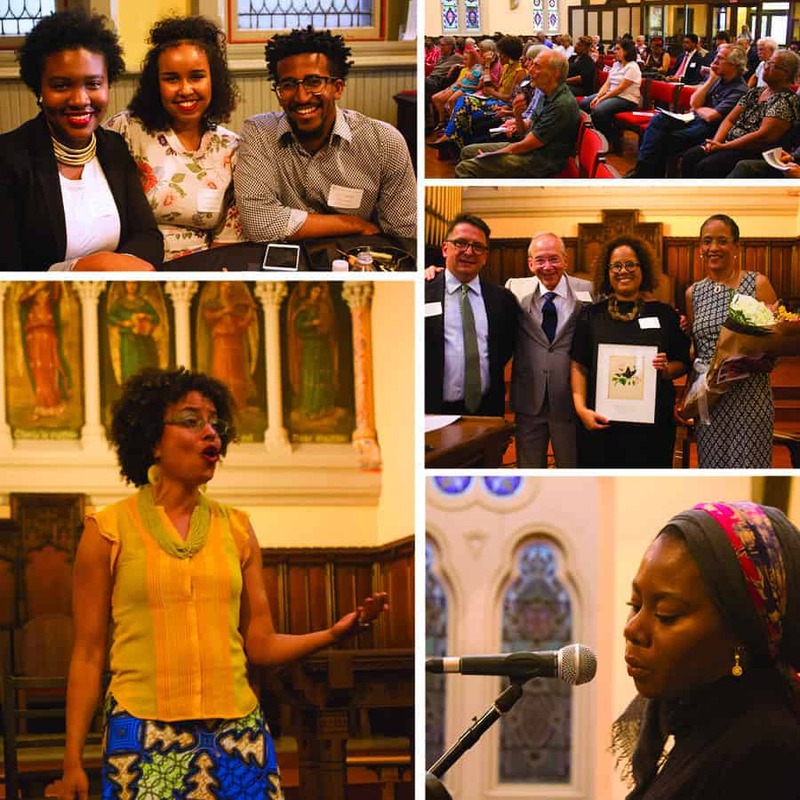 Lastly, Husnaa Hashim has been writing poetry for over seven years and has been recognized in the Philadelphia community for creating meaningful poetry written about race, gender, and religious beliefs. During the program, the Library Company recognized Dr. Erica Armstrong Dunbar for her outstanding dedication and commitment to the Program in African American History. Since her appointment as Program Director in 2011, Dr. Dunbar has made left a lasting impression on all of the scholars and staff members at the Library Company. Dr. Dunbar has been instrumental to the Library Company, helping to grow and expand its Program in African American History. Throughout her tenure and with her support, the Library Company raised more than $3 million to support the Program in African American History, including the creation of the Mellon Scholars Program funded by the Andrew W. Mellon Foundation. In her honor, the Library Company created the Dr. Erica Armstrong Dunbar Short Term Fellowship in African American History. We are grateful for her leadership and commitment and wish her success in all her future endeavors. The theme this year focused on Black Liberation Past and Present. Dr. Cooper Owens provided an overview of Juneteenth and what it means to black people in America now. Keisha Hutchins accompanied by Daniel Espie, explored the history of music providing pieces from the 1860’s up until present day, touching on subjects such as enslavement, civil rights movement, and black identity. Husnaa Hashim original pieces explored the problems within the black community focusing on black on black crime. You can view the program and performances here. We would also like to thank this year’s Juneteenth program sponsor, Bryant Greene and Always Best Care. In addition to supporting the evening’s events, Mr.Greene highlighted the Program in African American History and the Library Company on his show “Did You Know?” You can see the episode here.